Bruce Gilbert: Still tracking for the album with most parts now finished, we will be adding some backing vocals and a few other things in the next couple of weeks, mixing will then get underway. Mark Edwards: Was visiting from Sweden for a few days so we tracked all remaining vocals and my bass parts. Mark is now back in Sweden so I will be mixing and sending him files of the finished album. The album has been a slow process due to Mark moving to Sweden to take up a new job which slowed recording to a crawl, but the end is now in sight. Lena Traikovska: I have been recording singing students of Lena Traikovska, they are recording demos so that they can apply for positions, for family and friends, or just to have a record of how they are going generally. 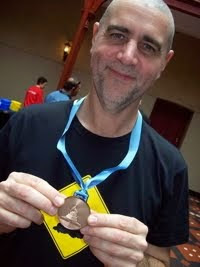 Bruce Gilbert: We are currently working on Bruce's album which has been developing along the way. I have been playing bass and keys on the album, and Les Karski has been adding some guitar. A very interesting album of cross cultures. MSJ: Have been in recording songs fro the end of year concert, worked a couple of long nights and a day but all finished ready for the show. Neil Simpson: recorded vocals for a forthcoming album which Neil is putting together at home. We will mix the album in the future. Dance Central: Edited various backing tracks into a live show production backing track for dance. Benefit for Chris Wilson, (multi band gig). The Jook Joint Band plus supports. Fremantle Foundation: The end of year Impact 100 presentations night where a charity is awarded funding from money raised. My donation is doing the presentation production for free. A worthy cause. Portuguese Club: Mixed a Fado night with a live band and lots of guest vocalists. Last week I mixed the live sound for 2 shows by British / Porugese musician Nessi Gomes at the Fibonacci centre in Fremantle. great night and Nessi is a pleasure to work with. The new single Thunderman has been recorded, Mixed and sent off to the US for mastering by Mark Hallman. Bruce Gilbert - Over the last few weeks we have been working on an Album project, recording guide tracks and final tracks for various songs. Urban Cowboy - is back in the studio recording the new single Thunderman. Drums have been tracked and some guitars at this stage. I thought I would update what I have been doing through December and January. I recorded cover band Deaf Panda, they wanted a CD for Family and Fans and also a recording for prosperity. There were 11 songs which were recorded live in the studio and we then recorded a few small overdubs to finish it off. This was all done in 2 sessions in December and 2 more in January. I have been doing my regular Wednesday nights at the Gaslight Club in the basement of the Fly By Night club. 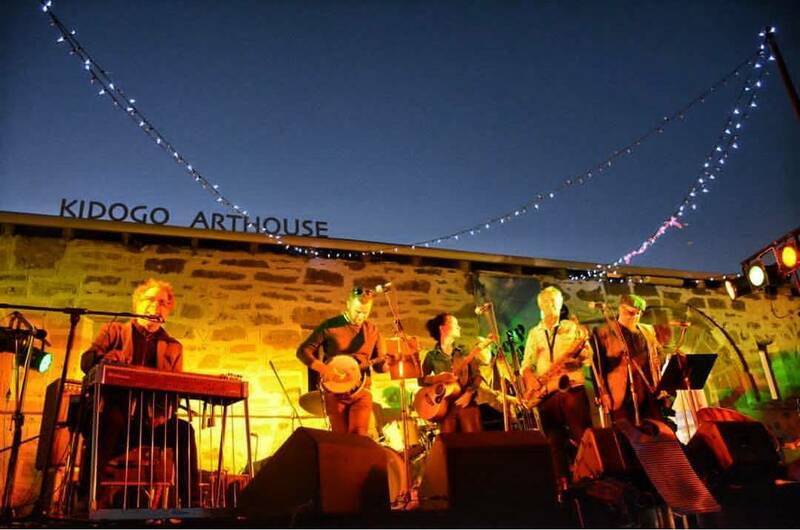 I also mixed 2 great shows for the Fremantle Fenians Festival, a Thursday night at the Martine Museum for Declan O'Rourke and a Friday night for Lucky Oceans & his Gaelic Gumbo Band on the Kidogo Arthouse Lawn, both gigs were sellouts. 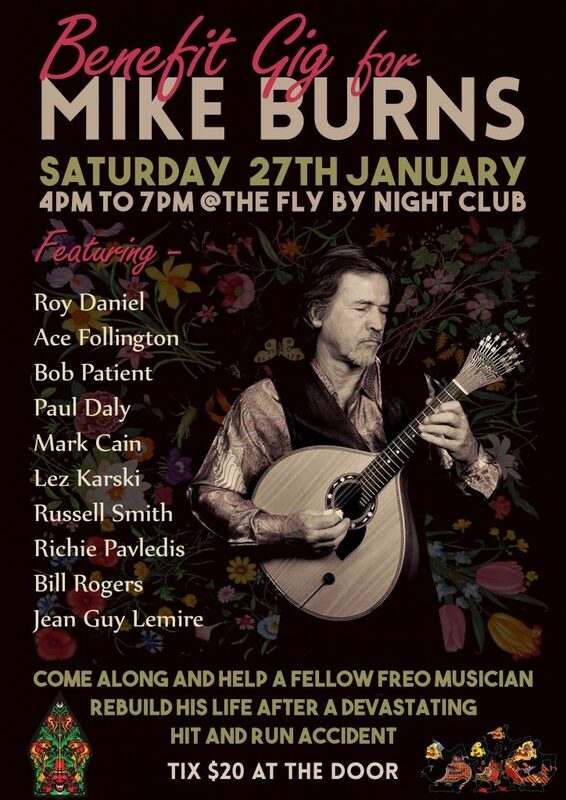 I also mixed in the Fly By Night main room last Saturday for the Mike Burns Fundraiser. A who's Who lineup and where in the last set the whole lineup was on stage at the same time! In December I played 2 gigs with Jim Fisher & the Hamilton Hillbillies, and gig with the Suntones, and 2 Gigs with Empire Blues. January it was 2 Gigs with Empire Blues (on the same day), and a gig with Bluegum (or Gluebum as we like to call it LOL). MSJ have been in the studio several times over the last few months recording tracks for live shows. John came into the studio so we could review the mix of a project he had recorded at home, shortly I will be mastering the album. Graham Schultz: This project is near completion with only a small adjustment to one track and the mastering. Mark Edwards: Is returning for a couple of weeks so we are taking the chance to record some more material towards the album. Dance Central: I edited and prepared the sound tracks for their Dance spectacular. MSJ Productions: We are recording tonight and in 2 weeks time for the next stage show. Live Mixing: Still at the Gaslight club each week. Radio Show: Monday nights 6pm to 9pm Radio Fremantle 107.9fm, only WA music. 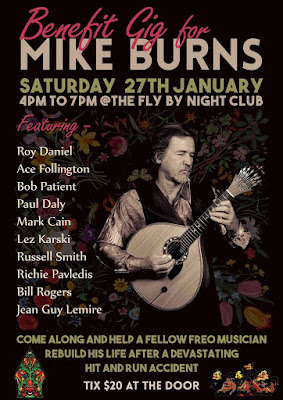 My Birthday Bash: What a big night at at Fly By Night Club, here is a short video of some of the highlights / acts on the night, link. Graham Schultz: The album project has grown a bit since we started with more new songs and some rework of the existing songs, but we are getting near to completion. Mark Edwards: This project is on hold as Mark is away working overseas, when he returns later in the year we are back to recording. Carlo Monaco: Carlo recorded an album of opera with me a few years ago, he was back to the studio for me to put together some backing tracks of music so that he could perform some live shows (hard to run around with an orchestra), a bit of editing and some key change work involved. 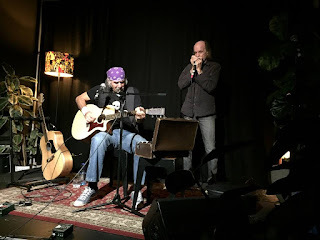 Live sound: I am still mixing live sound at the Gaslight Club every Wednesday, there are great acts turning up every week, with a lot of bands embracing the more un-plugged acoustic nature of the gig and the fact that there is an audience that listens. Playing Live: Empire Blues have been a little quiet lately but I have been playing with a few other acts, St Patricks day was a gig to remember as I played with The Rouges, who are a "The Pogues" tribute band. I was standing in for regular bass player Phil Bailey who was away on tour. Radio Show: Don't forget my weekly radio show every Monday 6pm to 9pm, "The Twilight Zone" I only play local West Australian music, you can listen on line if you are interstate or overseas. I realised that it's been a while since I posted on the site, so an update of what I am up to. Graham Schultz: The project is back on track, Graham experienced a failure of his recording gear and has been waiting for the warranty replacement to come through, which it finally has, so we mixed a few more tracks last week. George Ghasseb: tracked some guides for a CD project, but now his uni studies are in the way so hopefully the project will carry on at a later date. The Urban Cowboy: We have been working on a new single, but due to everyones commitments and availability the project missed the release deadline, hopefully it can be finished off at a later date. Mark Edwards: We have started tracking a new album with Mark Edwards, we can't believe it has been 10 years since we recorded the last album! Me as a sound engineer: As well as the studio work I have been doing some live mixing around the place, mostly every Wednesday at the Gaslight Club (in the Fly Trap), and the Fly by Night Club, see whats on at these venues via the Fly By Night site. 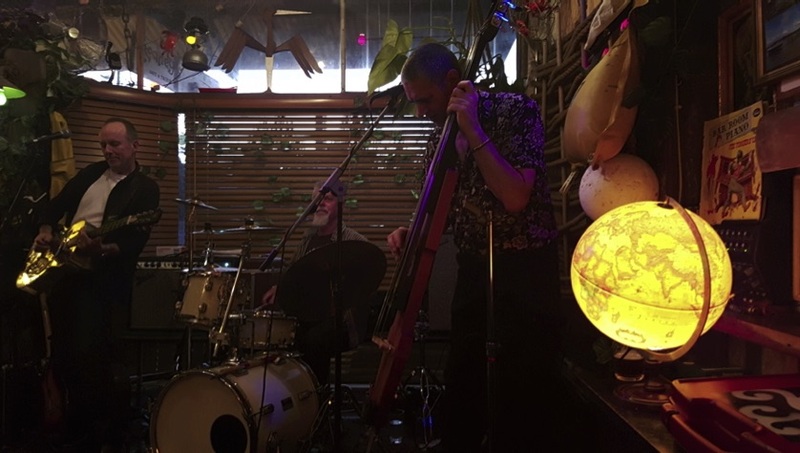 Me as Musician: Been doing some great gigs with Empire Blues, also occasionally standing in on Bass with Lez Karski, and some bush band gigs on upright Bass with Bluegum. Graham can into the studio to mix a recording he did at home. The project was recorded on a Tascam DP32 and the files exported to a USB stick. I mixed this project on the computer as transferring the files to my MX2424 and mixing in analog would have been more time consuming. The Mix worked out well, Graham had done a good job of recording and the mix can together quickly. Update: after listening to the finished song Graham re-recorded the vocals and some guitar and this replaced the old takes in the mix and the song was finished. We then went on to mix a second song. I don't usually post about my band Empire Blues, but last weekend we played 3 shows at the Blues At Bridgetown festival. Great fun, and received very well by the large crowds. I did suffer a little festival throat by the Sunday show but I just sounded more Bluesy LOL. Sally was back in the studio recording a new CD this week. As Sally is used to busking we always record the performance completely live and as such we often record the whole album in a 10 hour day. This album has 12 songs and we finished the recording and mixing on the Saturday, I popped back to the studio Sunday and did the mastering, the CD is now ready for production.